Poems – Wake Up. | musings at random. This message is just as relevant on a Monday as it is any other day. I thought I’d share today, well because…it’s Monday. Let’s face it, we all need a few uplifting words today. 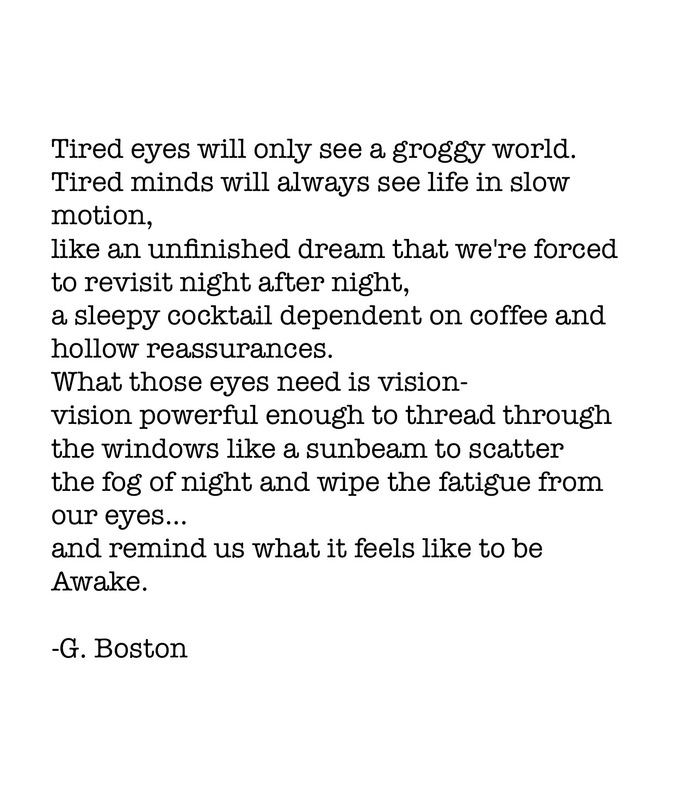 Let’s keep our eyes open, and our spirits awake. Good luck today! Best of days to all.